and the school classroom, yet few realize the signal is very close to a microwave oven. Follow through re. Lloyd’s insurance waiver: Parents and teachers have a right to know that the Wi-Fi being installed in schools throughout the province (even those with wired internet access) emits microwave radiation that has the potential to do great harm. “Will the individual people who approved the installation of a known 2b carcinogen in our schools be held personally liable for negligence? School Officials have refused to acknowledge the 1,000’s of peer-reviewed, non-industry funded studies by scientists and medical experts that have been presented to them. “Directors Insurance applies to people who are performing their duties “in good faith.” But are they still protected when they have been Willfully Blind to the pleas from scientists and medical experts who have warned them over and over again of the health risks to our children? Will the fact that School Officials refuse to inform parents, teachers and students about the warnings in Safety Manuals and Disclaimers that come with wireless devices also make them liable? (Exclusion 27) Are these people guilty of not doing their job by providing our children an education in a safe school environment? “In good faith” In contract law, the implied covenant of good faith and fair dealing is a general presumption that the parties to a contract will deal with each other honestly, fairly, and in good faith, so as to not destroy the right of the other party or parties to receive the benefits of the contract. “Willful blindness” (sometimes called ignorance of law, willful ignorance or contrived ignorance or Nelsonian knowledge) is a term used in law to describe a situation in which an individual seeks to avoid civil or criminal liability for a wrongful act by intentionally putting him or herself in a position where he or she will be unaware of facts that would render him or her liable. This information begs the question, why would an insurance company exclude injuries from electromagnetic radiation if it were safe for children and the unborn? EDMONTON – Parents from across Alberta will decide next month if they feel schools should put new restrictions on wireless networks to protect children’s health. “We’re really looking forward for it to come to the floor so maybe some more information can come out … for a better, more complete picture,” Vonkeman said. The World Health Organization is studying the science on the issue, because “even a small health consequence from (electromagnetic field) exposure could have a major public health impact,” its website says. Health Canada has guidelines to protect Canadians from exposure to radio frequency electromagnetic energy, such as that emitted by Wi-Fi systems and cellphones. According to Health Canada, even a small child exposed to this energy from multiple sources, 24 hours a day, for 365 days a year, would suffer no adverse health effects as long as the energy was within the department’s safety code limits. Parent Jennie Marie Letwin, whose daughter attends the Waldorf program at Avonmore School, brought the resolution forward to the Alberta School Councils’ Association. Students in the Waldorf program use hard-wired computers and their section of Avonmore School, at 7835 76th Ave., does not use Wi-Fi. “It’s really about providing choice … Some children have sensitivity to it,” Letwin said. Letwin said her family uses Wi-Fi and wireless devices at home, but has made changes to use them more safely. The president of the Edmonton Waldorf parent council compared concern around wireless radio frequency signals to those about the sun’s ultraviolet rays. “We don’t all stay inside, but we do take precautions,” said Kevin Rudko. Technology is ever changing at a speed we can barely keep up with. For most of us, the idea of a stationary office no longer exists; it now travels with us in the form of a blackberry and the norm in communication has become a device you carry on your hip. We stay connected, but at what price and who pays? Last spring my colleague, Carol Hughes, after attending the House of Commons Standing Committee on Health meetings that investigated the health effects of microwaves from wireless devices such as cell phones and Wi-Fi, was approached by a group from Ontario who reported an illness cluster in their school that is consistent with microwave exposure. A District School Board in Simcoe Country had installed a blanket microwave Wi-Fi system throughout every school. At one elementary school, parents of students began to report an illness trend involving childhood headaches, nausea, vertigo, insomnia, and even tachycardia (a heart condition requiring medical attention). These symptoms disappeared only when the children were not in school. Like any concerned parent, they contacted the Simcoe County School Board and were told that the Wi-Fi system is perfectly safe according the Health Canada. While at a committee meeting, Health Canada officials defended the department’s Radiofrequency Exposure Guidelines (Safety Code 6), only to have those same guidelines questioned by international research scientists whose research show that people can experience biological changes in the presence of these low-level microwaves. One scientist also warned about an increased prevalence of cancer if Health Canada’s “safe” limits for microwave exposure are not lowered. Health Canada officials confidently stated there is “no cause for concern that Wi-Fi is dangerous.” Perhaps instead, they should have said that in their opinion, that Safety Code 6 is sufficient. According to the Royal Society Report, young children are among the most vulnerable when it comes to microwave exposure. The report is clear that these biological changes happen well below the current “safe” limits set by Health Canada. Health Canada’s guidelines are not protecting us. They are outdated and designed for a grown man at 6 minutes of exposure. They don’t take into account a 4 year child getting microwave exposure for 6 hours a day, five days a week, for 14 years of public school. In a recent letter to the Minister of Health by NDP Health critic Megan Leslie, she writes that wireless technology has not existed long enough for long-term tests to be done and that we should err on the side of the precautionary principle. She states in her letter that while we cannot roll back the clock on the introduction of wireless technology into the everyday lives of Canadians, citizens want reassurance that Health Canada is following this issue closely and is reacting to new research as it arrives. Exposing children to all day Wi-Fi in school is really an experiment, with unknown consequences. This is hardly promoting a safe learning environment for young children. The New Denver Area Parent Children’s Association has joined the ranks of other parents around Canada and the world to push for Wi-fi Free schools and libraries. It’s convenient, it’s easy, it makes information and social contacts accessible, and the products are fun, but is Health Canada really protecting us from microwave radiation? As the technology spreads and grows, are we really built for a microwave life at such extreme levels? Who’s calling the shots? OTTAWA — A British scientist and former naval weapons expert has waded into the debate over the safety of wireless networks in Canadian schools, warning generations could face genetic disorders because of prolonged exposure to low-level microwaves. Barrie Trower, who specialized in microwave “stealth” warfare during the Cold War, was to lecture at the University of Toronto Tuesday night. His topic: safety concerns surrounding use of Wi-Fi systems in public schools. While Health Canada maintains it is safe, Trower said there are no scientific studies that categorically state there is no harm from prolonged exposure. He also warns we could be threatening the health of future generations of Canadians who can be affected by microwaves at the DNA level. “When I realized these same frequencies and powers (as weapons during the Cold War) were being used as Wi-Fi in schools, I decided to come out of retirement and travel around the world free of charge and explain exactly what the problem is going to be in the future,” Trower told Postmedia News in an interview Tuesday. “Children are not small adults, they are underdeveloped adults, so there are different symptoms. “What you are doing in schools is transmitting at low levels,” said Trower, who teaches at Britain’s Dartmoor College and holds a degree in physics. Health Canada issued a statement last week that said there is no health threat. Health Canada said Tuesday it based its conclusion on reviews of studies from around the world and is satisfied there is more than enough evidence to support their view that it is safe. “Using data from these studies, Health Canada set the general public exposure limits significantly lower than the threshold for any potentially adverse health effects,” department spokesman Stephane Shank wrote in an e-mail. “The specified limits for public exposure apply to everyone — including the elderly, individuals with health concerns, children and pregnant women and allow for continuous, 24/7 exposure,” Shank wrote. Trower disagrees and maintains parents should make the schools sign off legally in case there are any health problems in the future. In Ontario, the debate has gone on since February in Simcoe County, near Toronto. Worldwide, the debate dates back more than a decade. Last week, the Simcoe school board said it has no plans to remove wireless Internet from its elementary and high schools based on concerns from parents that it may be making students sick. “We don’t put children at risk, but we can’t just shut it down and affect the learning of 50,000 students because someone says it might have health effects,” John Dance, superintendent of education with the Simcoe County School Board, told Postmedia News at the time. Simcoe County Safety School Committee member Rodney Palmer equated it to some pesticides, which were once thought to be harmless at any level, but whose use was later curtailed after studies showed any exposure could cause health problems. “No amount is safe,” Palmer said Tuesday. His group paid the travel expenses for Trower’s trip to Toronto, but Trower said he receives no payments and accepts no gifts to maintain his independence. Other academics differ on whether prolonged exposure to the wireless technology is safe. Tony Muc, a University of Toronto physics professor, was consulted by the school board and told them that wireless poses no harm. But Trower’s contention about health risks was echoed last week by Magda Havas, a professor in the Centre for Health Studies at Trent University in Peterborough, Ont. She said other forms of microwave exposure — particularly cellphone towers — have been linked to cancers, heart problems, sleeping problems, skin conditions and short-term memory loss. Children are also more likely to be vulnerable, due to weaker immune systems and because their bodies are still growing. Electrical conflicts between a very fast frequency and biologic systems that don’t function at those frequencies — stop the problem or hell is coming for what we are doing. This is like a sci-fi movie, where humans and the ecosystems that sustain us are irradiated — except this is reality. It wasn’t until watching parents on the news reporting Wi-Fi * or wireless internet making their children sick that we realized the parents have valid concerns that can be qualified electrically. Further discussion with qualified professionals escalated the urgency of our professional opinion. As interprovincial journeyman electricians, we are trained and certified by governments to meet or exceed required standards. Part of that education is installing electrical cables and communication lines separately to avoid conflicts in frequencies or signals. A primary function of coaxial cable is to protect a signal from electromagnetic interference. In the important discussion on whether Wi-Fi is dangerous, important technical language was left out of the discussion. Children are not pieces of furniture occupying space. Each child is an unprotected but precise electrical system running at 7.8 Hz. In an industrial or commercial installation, the unprotected 7.8 Hz (cycles per second) would be protected or installed so there was no EMF interference. Wi-Fi is a 2.4 or 5 GHz frequency which means 2.4 or 5 billion cycles per second. It will interact with a 7.8 Hz electrical system, especially since the 7.8 Hz system isn’t insulated or protected. That creates several electrical concerns, including electromagnetic induction changing voltages or currents in the human body. Since eddy currents from a 60 Hz electrical distribution can cause catastrophic electrical failure, what is 2.4 or 5 billion Hz doing to the body? Atoms and molecules would polarize 4.8 or 10 billion times per second, which is the same concept as using a microwave to heat food. Health Canada reports there is a known heating affect with wireless and “safe” heating standards have been adopted without consideration of the heat being an electrical problem. All heat has a source and the fact that this heat is generated inside the body adds to the urgency. Electricity is a calculated, very accurate science and heat is a byproduct of electrical function or failure. Our nervous system in the body controls every function in the body, and affecting the communication in the body can have symptoms in any part of the body. This is like changing the voltage or frequencies stamped on your computer — it won’t work. The wireless industry needs to immediately qualify the electrical ramifications of their wireless systems’ frequencies interacting with an unprotected 7.8 Hz signal. That response should be immediate as this is established electrical theory. They also need to qualify the effects of high speed frequencies on ecosytems depending on a magnetic field for navigation. What are the biologic effects of high-speed frequencies causing polarity changes billions of times per second? Schools and industry can be safe while enjoying important technology advancements. Hard wire the stations as we have done in industry for years — it will be good for the economy and protect people. As professionals who consult for all industry, including medical education, it is our duty — as with other professionals — to report this for the protection of our children. Our men and women in the military, police, fire, medicine, construction, etc. put their lives on the line with expectations that we keep their children safe at home. Any industry would be advised to look out for liability because insurers won’t pick up a tab for health costs that were created by others. Lawyers didn’t equate this to an electrical problem that can be proven. That supports the burden of proof required in legal process. If the problem isn’t dealt with immediately and scientifically, I would be left with no alternative as a government trained professional but to advise parents to keep their children from an unsafe environment. There is no acceptable amount of time to irradiate children — you never know how that will impact different physiology. As the world’s foremost authority on applying infrared technology at molecular levels, we are working on an imaging application so medicine can see the source of heat inside the body with frequency interaction. Our children are back in school and literally every minute spent in an irradiated environment should be of concern. It is a national security concern if we are irradiating our future and it isn’t definable as sustainable under the Auditor General Act. This author is a government-trained professional who lectures as a medical educator where doctors get education credits they need for licensing. Earlier this month, school administrators in Ontario’s Simcoe County decided not to turn off wireless internet in classrooms despite complaints from parents who suspect their children are being made ill by the Wi-Fi. There’s a debate in the scientific community about whether radiation from wireless communications could pose health risks. Some studies suggest Wi-Fi may cause neurological and cardiac symptoms, but other researchers insist the concerns are unfounded. Dan Krewski, director of the McLaughlin Centre for Population Health Risk Assessment at the University of Ottawa, told CBC Radio’s Metro Morning that so far, the medical evidence is reassuring. There have been thousands of research papers on the potential health effects of the type of radiation emitted by Wi-Fi and cellphones, he said, and overall, they show no cause for concern. A day earlier, British physicist Barrie Trower had shared an opposite view with Metro Morning. Trower, who advised the British Secret Service on the use of microwave weapons during the Cold War, thinks parents are right to worry. TORONTO — Ontario Education Minister Leona Dombrowsky says the question of whether wireless Internet technology is safe in Ontario schools is in Ottawa’s hands.Dombrowsky says she is expecting an answer “within weeks” from the federal health minister, after sending a letter with parents complaints. Some parents in central Ontario are urging their school board to remove Wi-Fi from schools, as they believe it may be making their children sick. Speaking after an address to the annual meeting of the Elementary Teachers’ Federation of Ontario, Dombrowsky said her ministry has received complaints from the Simcoe area and the Peterborough area. A resolution asking for teachers to lobby their district school boards to develop policies that prohibit the use of Wi-Fi within schools is expected to be voted on later today or early tomorrow. Dombrowsky said understanding and ensuring that Wi-Fi technology is safe is Health Canada’s responsibility. She indicated to the Minister of Health, Leona Aglukkaq, that this is an important issue she hopes will be addressed as soon as possible, Dombrowsky said. She said she contacted the federal minister of health because the information presented from families conflicts with information from Health Canada and the World Health organization. An expert in the biological effects of electromagnetic fields will speak at a public meeting in Langley on Friday, July 17. The event, open to the public, will be at the Langley United Church, 5673 200 St., starting at 7:15 p.m.
Dr. Magda Havas is an associate professor of environmental and resource studies at Trent University where she conducts research on the biological effects of electromagnetic fields, dirty electricity, ground current, radio frequency radiation and electrical hypersensitivity. Havas provides advice to the public and expert testimony on radio frequency radiation from wireless telecommunication antennas and electromagnetic fields from power lines in the U.S. and Canada. She helped draft Resolution 15 for the International Association of Fire Fighters (IAFF) regarding cell phone antennas on fire halls. The issue of electromagnetic fields was raised recently by Una St. Clair-Moniz, whose children attend the Langley Fine Arts School in Fort Langley. St. Clair-Moniz raised concern for the health of students after the school district began to install wireless Internet service in that and other local schools. Invisible to the human eye, electromagnetic fields are present everywhere. In nature, they are produced by a buildup of electrical charges in the atmosphere, usually during a thunderstorm. Plenty of manmade sources of electromagnetic fields exist, and many are in the home: toasters, microwave ovens, televisions, and vacuum cleaners. Cell phones emit these fields, and the jury is still out on whether the devices are linked to brain cancer. St. Clair-Moniz started a web site, www.citizensforsafetechnology.org, for parents, grandparents, teachers, health professionals, business people and students concerned about the rapid spread of untested and unregulated wireless technologies in schools and communities in Canada. Havas will answer questions from the audience at the July 17 meeting. Dr. David Fancy was working at his laptop when he began to notice a pain in his left hand. Initially, he dismissed it as writer’s cramp, and kept working. Eventually, Dr. Fancy’s hand began to tire sooner and sooner. When the soreness began to be accompanied by chest pains, he realized that something much more serious was taking place. That’s when he realized that he had a condition known as electro-hyper sensitivity. Topics such as EHS and the health effects of electronic signals such as WiFi and cordless phones was the topic of discussion at Monday night’s panel. Experts, Dr. Henry Lai, Dr. Magda Havas, and Dr. David Fancy spoke in the Agora about the adverse effects of electromagnetic fields on human health. Dr. Lai, a research professor in University of Washington’s bioengineering department, argued that extremely low frequency radiation can have effects as damaging as Alzheimer’s Disease. Lai felt that, when reading studies arguing against health risks imposed by WiFi and cell phone radiation, individuals should take into account who is sponsoring the research. Lai’s statistics suggest half of non-industry funded research studies found adverse health effects resulting from extremely low frequency radiation. According to Havas, WiFi routers, and even the new mandatory smart meters emit radio frequency radiation that can cause adverse health effects in individuals who are sensitive to them. Havas estimated that a third of the population is sensitive to radio frequency radiation. Her presentation relied heavily on case studies and highly specific examples of electro-hyper sensitivity. Dr. Fancy, the chair of Brock’s Dramatic Arts department, then addressed the crowd to discuss his experiences of being electro-hypersensitive. After his symptoms of being electro-hyper sensitive intensified, he could no longer tolerate any radio frequency radiation and was forced to live in a trailer for two years. Fancy criticized those who view EHS as hypochondria. He argued that the World Health Organization and Health Canada are refusing to acknowledge the significance of EHS. He called those with the condition a “hidden tribe of nomads” looking for exposure free zones and sympathetic doctors. To prepare for the presentation, university staff searched Lakehead for stray WiFi signals to ensure that the campus was wireless-free. Many networks were shut down including The Study, the bookstore, as well as a computer-to-computer network in the Engineering Student Society office. Firstenberg is one of a small group of people who believe they haveElectromagnetic Hypersensitivity (EHS), a condition in which they are highly sensitive to electromagnetic fields and experience pain or other symptoms when they encounter them. Wi-Fi is a type of radio wave, operating at either 2.4 or 5 gigahertz. These wave frequencies are slightly higher than the radio waves on which appliances like cellular phones or televisions operate. This allows for the transmission of large amounts of data, but as a result Wi-Fi radio waves emit greater electromagnetic fields than things like televisions and microwaves. Experts argue back and forth on whether these waves are harmful or benign. Studies on cell phone use over time and brain tumor growth — which have thus far proved no connection between the two — are just one example of this relationship. It is possible, a somewhat informed opinion on the safety or potential risks of this new technology without actually form a physicist himself. Quite simply, is Wi-Fi wireless technology used most often to people connected to the Internet in schools, cafes, hotels and other network addresses or mobile phone users connect with each connection. Wi-Fi is certainly convenient for travelers and students, but it is dangerous? Many believe thatThe low-level radiation of electromagnetic waves, which can by the wireless internet source for each individual user to cause an adverse effect on health, including cellular changes and possibly cancer in some cases. The area of a Wi-Fi Internet connection is covered as a “hotspot” is known, this is the area in which the broadcast waves to the users to access the World Wide Web. It may extend over several miles, not even when the waves pass through treed areas. While in the hotspot, a laptop user for easy access to connect to the network and the Internet and check their e-mail or its other business on the run. A wireless network uses radio waves to send communications over a two-way network. A computer’s wireless adapter uses the Internet connection data in a radio wave and sends it to the wireless router – which works in your laptop. This process in the opposite direction, sending a radio signal back to the host computer . Useful stations or hotspots Environmental hazards? Some report, issued an unusual sensitivity to the waves in these hotspots. Officially, the level of wireless electromagnetic radiation in the environment in a hotspot are well below recommended levels emitted and there is no evidence of risk to humans. But some people blame for everything, WiFi exposure of sleep disorders, headaches and blurred vision, heart and respiratory problems. Since no study has ever shown a conclusive risk to human healthfrom exposure to these low-frequency radio transmissions, many simply shake off the complaints of these people who believe in choice, that their symptoms are coincidental or another by a spring. So, how high the level of radiation in a hotspot? According to Dr. Michael Clark of the HPA, the published research on mobile phones and wireless networks does not indicate a risk to human health. “All the expert reviews done here and abroad show that it is unlikely that a health riskRisk of wireless networks, “he says.” The few studies on mobile phone masts, which are observed in published peer-reviewed journals are entitled to health effects that are not at all conclusive. The real problem is deciding what level of caution is appropriate. “When we conducted measurements in schools, typical exposures from WiFi are around 20 millionths of the international guideline levels of exposure to radiation. In contrast, a child receives on a cell phone up to 50% ofConductances. So a year sitting in a classroom near a wireless network is roughly equivalent to 20 minutes on a cell phone. If Wi-Fi should be taken from the schools, then the air should be closed, too – and FM radio and TV, the strength of their signals is similar to that of Wi-Fi in classrooms. Why Wi-Fi should not be used in classrooms. For years parents, teachers, administrators and school boards have fought to keep cellular telephone transmitters away from their schools. Now we are installing them right into the classroom with Wi-Fi base stations. The following article is by Lynn Quiring. He is a Registered Pharmacist, Board Certified Clinical Nutritionist, and holds a degree in naturopathic medicine. He also holds diplomas in homeopathy and hormone regulation therapy. He is an expert in cell phone radiation and EMFs and their health effects on the body. He has practiced in natural medicine for over 10 years. The hot new craze in Internet access is Wi-Fi and its soon-to-be big brother Wi-Max. Wi-Fi is a wireless connection that allows users to access the Internet without the computer being connected to a cable. And yes, it’s very convenient. Imagine walking from the sofa to the bedroom with your laptop and never loosing your connection. Imagine the freedom and flexibility afforded schools and office workers. No more ugly bothersome cables to tie you down. You’re free to roam the Internet with your fingers while roaming your home, school or office with your feet. Freedom to move and freedom to surf. Perfect for the individual who is on the go and up to date with the latest technology. You can even have free Internet access at your local coffee shop. Same for airports. What a great idea. Or is it? What exactly is Wi-Fi? Wi-Fi is a common term that stands for ‘wireless fidelity.’ It simply means that a computer can access the Internet without wires or cables. In other words, it allows one to have a wireless connection to the Internet. It’s like taking a cell phone base station and placing it in your home, schoolroom or office area. Wi-Fi is basically the same type of connection as used to operate a cell phone. It’s a product of convenience as it allows one to access the Internet with a desktop or laptop computer without the need for connecting cables. Moving from room to room with a laptop computer and no cables is a nice convenience although it certainly isn’t a necessity. How does Wi-Fi work? Wi-Fi is really very similar to your cell phone. Radio signals are transmitted from the computer or Bluetooth device to a wireless router, sometimes called a wireless access point (WAP) or wireless local area network (WLAN). The router then sends the signal to the Internet through a cable modem. So this router or wireless access point is really the device responsible for transmitting the harmful radio waves. Any number of computers or devices can be configured to connect to one wireless router to make Internet connections. The workable distance is about a range of 300 feet or more from the wireless access point while most distances for good connections are maintained at about 100 feet. And, of course there are many variables that can affect this connection. Laptop computers and Personal Digital Assistants (PDAs) are the most common devices utilizing Wi-Fi technology. Wi-Fi Emits Radio Frequencies Wireless connections emit radio frequency signals, or radiation, just like cell phones, cell phone towers and other wireless devices. Wi-Fi usually transmits its signal at frequencies in the range of 2.4GHz to 5 GHz. Cordless phones often transmit in the 2.4GHz to 5 GHz range, too, and this often causes the cordless phone to interfere with a wireless internet connection to a nearby computer. The Wi-Fi frequency is considerably higher than the frequencies used for cell phones which operate in the 850 MHz to1900 MHz range. This higher frequency allows more data to be carried. However, as we’ll see later, it is not the frequency of the signal that does the damage to our health. So the higher Wi-Fi frequency isn’t really the issue at all when it comes to health considerations. Wi-Fi Hotspots Now In Schools Wi-Fi has become popular in the home, office, the airport and coffee shops. Many cities are now installing “hot spots” where one can take a laptop computer and freely access the Internet over the provided network. This is what is known as a “hot spot.” It’s a place to make a wireless connection to the Internet. And they are springing up everywhere. Entire cities are becoming wireless allowing one to connect to the Internet from anywhere in the city. And due to the ease of convenience Wi-Fi connections in schools are now becoming quite popular, too. No longer are computers hard-wired to a connection in a classroom. Connections are now virtual and allow the user, student or teacher, the freedom to connect anywhere in the school without the burden of being restricted by cable connections. Why Wireless Connections Are Harmful There are two potentially harmful mechanisms in which Wi-Fi users, including school children, may be harmed. The first mechanism involves the exposure to radiation from the distance or proximity of the user to the computer monitor. This form of exposure originates from the electromagnetic field being given off by the monitor itself and has nothing to do with the wireless connection. Electromagnetic radiation is given off by the computer screen regardless of whether the connection is wired or wireless. Any and all computer screens produce electromagnetic radiation. These electromagnetic fields can be substantial in strength and can reach levels much higher than the 1 milligauss (1 mG) threshold level of exposure recommended by experts as being safe. Such a field can easily be measured with an inexpensive instrument called a gauss meter. The second mechanism of harm comes from the radiation or radio wave itself. The wireless signal, oscillating at 2.4 to 5 GHz, moves much too fast for the body to recognize. So this wave isn’t doing the damage. However, anytime any data or information is transmitted, say through our voice, through text messages or through the sending of information, the data is packaged and “piggy-backed” onto the first wave. This creates a second carrier wave and this wave is called the information-carrying radio wave, or ICRW. It is the information-carrying radio wave that is producing the harm. Here’s how this happens. This second carrier wave, or ICRW, oscillates in a much lower Hertz (Hz) range that is easily recognized by the body. When the ICRW comes in contact with the body the body recognizes this wave and responds to it as if this carrier wave were some type of foreign invader. When this happens certain physiologic changes occur which are very significant. First, at the cellular level, the cell membrane becomes hard and inflexible. This occurs because the active transport channels shut down as the cell goes into a protection mode. This hardening effect of the cell membrane also causes the cell to lose its permeability, meaning needed nutrients can’t get inside the cell where they are needed. In other words, the cell doesn’t get nourished. Conversely, since the cell membrane is hardened and less permeable, the toxins and free radicals that build up inside the cell, as a natural part of our daily metabolism, can’t get out. The buildup of toxins and free radicals inside the cell causes other problems. These toxic products damage the mitochondria in the cell. If you’ll remember from biology class the mitochondria are where energy for the body is produced. When this energy-producing process is damaged the cell begins to lose its ability to function. In addition, cells lose their ability to communicate with one another. When one cell can’t communicate with another cell and messages don’t get sent or received the body can’t respond properly to any type of stress, injury, or invasion. Furthermore, the DNA inside the cell becomes damaged. Fragments of DNA break off and form something called micronuclei. Micronuclei are precursors to cancer formation. And when enough energy is lost and when enough malnourishment occurs the cell eventually becomes dysfunctional and dies. When enough cells die the tissues are affected. When enough tissue is affected organs become damaged and don’t work properly. And the cascade of damaging events begin that can lead to a multitude of symptoms and failure of the body’s defense mechanisms to act appropriately. The Wi-Fi Problem Think of Wi-Fi this way. It’s really nothing more than a small version of a cell phone tower placed in the classroom or office. Or, it could be similar to having a cordless phone in your home with multiple handsets throughout the house. The base station is the access point and all the peripheral phones connect with it wirelessly. The radio frequency radiation being emitted is the same. The information-carrying radio wave is being transmitted continuously 24 hours a day. The connections from the computers and other wireless devices throughout the school, office or home to the wireless access points cause any user around them, (children, teacher, staff, etc.) to be continuously exposed. Everyone in the building is caught in the crossfire of the continual access to the wireless access points. Even non-users are exposed because of the blanketing effect of these wireless access points throughout the building. So no one escapes the exposure. Certainly, by the addition of any type of wireless we are adding to the burden of electropollution we are all currently exposed to. Special consideration should be given to the additional exposure that Wi-Fi technology would bring to those in a classroom, including the instructors, teachers, staff and certainly students. Children Are More Vulnerable Concern about the increased vulnerability to electropollution by children has valid reasoning. Since the skull bones of the head don’t fully harden until about age 22 the skull bones of a child’s head are softer than that of an adult. A softer head bone translates to easier penetration through the skull and into the head by radio frequency radiation. Furthermore, the head of a child contains more water since the brain is not fully developed. It would make sense then that water will act as a conductor to electromagnetic radiation increasing the possibility of even further damage. And since a child’s brain and nervous system is still developing it only stands to reason that the potential damage would be greater since cells that are in a growing phase are more easily damaged. Effects of WirelessRadio Frequency Radiation Although no studies have been done on Wi-Fi per se there is a generous amount of research that has been carried out on cell phones, cell phone towers and masts. Since the Wi-Fi signal is the same type of radiation (only the frequency is different) one can assume with reasonable assurance that the effects of exposure to Wi-Fi will follow the same pattern of exposure to cell phones and cell phone towers. Here’s an example of what can happen. Let’s say one works in a schoolroom or office where wireless access, or Wi-Fi, is used. In other words, we are continually exposed to a constant bombardment of electromagnetic radiation waves. Over time, sitting or working in this classroom or office, the cells of the body gradually loose their energy and consequently their ability to communicate. What if the function of a particular group of cells was to maintain the integrity of the blood-brain barrier? The blood-brain barrier is an intricate membrane that keeps harmful substances and toxins from contacting sensitive brain tissue. But what if the cells of the blood-brain barrier can’t communicate or don’t work any longer? The barrier would break down and this would allow harmful substances to enter. Those substances would then come in contact with sensitive brain cells. The result would be injured and damaged brain cells. This is just one example of how a particular group of cells can be adversely affected by electromagnetic radiation. In fact, studies have shown that placing a call on cell phone for just two minutes can disable the blood-brain barrier. 2 The same case could be made for the immune system and any other major “system” of the body since different cellular groups perform different functions to keep us healthy. Neurobehavioral effects of inhabitants living near a cell phone tower base station have also been studied. The following neuropsychiatric complaints were reported: headache (23.5%), memory changes (28.2%), dizziness (18.8%), tremors (9.4%), depressive symptoms (21.7%), and sleep disturbances (23.5%). 4 In addition, tests of attention and short-term auditory memory were significantly lower in the exposed participants than in control groups. Obviously, people living close to cell phone towers have an increased risk for developing neurobehavioral problems. Will We Medicate Our Children Unnecessarily? If indeed neurobehavioral symptoms are produced by radio frequency radiation and these frequencies are continually emitted throughout our schools what might this suggest about the abnormal behavior of students in the classroom? Might parents be inclined and persuaded to medicate their children so that these undesirable symptoms can be controlled? If so, how many of these children would be medicated unnecessarily? Studies now show that the frequencies such as that emitted by cell phones cause abnormal brain hyperactivity. Such artificially induced hyperactivity would cause an unnecessary risk and expense to students who would be placed on some form of pharmaceutical intervention to aid in controlling these symptoms. Many of the drugs used in controlling hyperactivity, such as Ritalin, Concerta, and methylphenidate are in the amphetamine-like class of pharmaceuticals. What a tragedy it would be to find out years later that this form of medication was unnecessary and could have been avoided if we would have chosen precaution over convenience. Learning Issues As discussed earlier, the mechanism of harm caused by electromagnetic frequencies occurs at the cellular level. The eventual outcome of this harm is disruption of cell-to-cell communication. When the disruption of cell communication occurs cells can’t “talk” to each other. When cells can’t communicate cognition is affected, the ability to learn is affected, the ability to retain information is affected, and behavioral problems can occur. Makes Kids Susceptible To Other Stressors Radiofrequency radiation is also a stressor to the body. The mere fact that the cells of the body react to these frequencies as discussed earlier indicates that they are harmful. When the stress response occurs from exposure to electromagnetic frequencies the body responds by releasing stress proteins, also known as heat shock proteins, to minimize the ensuing damage. The release of heat shock proteins is just one stress response mechanism that has been identified. Other mechanisms include the triggering of adrenal hormones like adrenaline. Continual stress is not healthy as it can eventually fatigue the adrenal gland, suppress the immune system, and lead to fatigue causing difficulty in concentration. Sleep disturbances may also occur. Immune System Affected Evidence also exists that radio frequencies produced by such devices as cell phones, Wi-Fi, computers, televisions, etc. can trigger skin reactions.5 Microwave frequencies can trigger the release of chemicals from mast cells. Mast cells in the skin will break open and release chemicals that cause the symptoms of allergic skin reactions. 6 One of the chemicals released by mast cells is histamine. Histamine is often responsible for the symptoms of allergies such as runny nose, watery eyes, inflammation and difficulty breathing. Histamine also constricts the airway leading to or worsening the symptoms of asthma. It is of interest to note that the rate of asthma in children has doubled since 1980 and asthma now affects one in 10 children. The cell phone was introduced in1983 and has seen explosive growth in use in the last decade. Could there be a correlation between the rising rates of asthma, an immune system problem, and the escalating use of cell phones and wireless technology? Certainly, one could anticipate that chronic exposure to these radio waves over time can lead to chronic inflammatory responses. Electromagnetic Radiation Connected To Autism A recent study has now suggested a direct link between autism and electromagnetic radiation. It appears that EMR may accelerate autistic spectrum disorders. 7 It is noteworthy that the increasing rates of autism parallel the growth of the cell phone and wireless industry. This appears to occur as a result of the trapping of heavy metals within the cell and the inability of the body to excrete the toxic metals present that are often introduced into the body through vaccinations. Heavy metals are neurotoxic. When this excretory process is prohibited these heavy metals, such as mercury, lead, beryllium, and aluminum, damage nerve structures and interfere in inter-cellular communication. This leads to neurological problems and conditions like those found in autism spectrum disorders. This particular study has shown that when electromagnetic radiation is largely eliminated the efficiency of heavy metal detoxification and removal was dramatically increased. In other words, the body was able to excrete and eliminate heavy metals when it had not been able to do so previously. This leads to the suggestion that (1) we need to reduce or eliminate electromagnetic radiation from any child’s environment and (2) measures need to be taken to repair the damage that has already been done by electromagnetic radiation. Although this study looked specifically at autism the same case could be made for attention-deficit disorders and related conditions. Occupational Hazard For Teachers And School Staff Children will attend school in a particular building for a finite number of years and then move on. For a child the length of time spent in a particular building or location is predetermined. Therefore their exposure levels to this form of radiation will probably change. But what about the teachers and staff members who continue to work in the same building for many, many years? For these workers and teachers the exposure in their building from Wi-Fi networks and radio frequency radiation is continual. What are the effects of this exposure after years and years of time? Will teaching in a Wi-Fi enabled school become an occupational hazard like that of an electrician? These are questions that must and should be answered before, rather than after, any installation of radiation-generating equipment is placed in service. Wi-Fi In European Schools The European Environment Agency is calling for immediate steps to be taken to reduce exposure to Wi-Fi, cell phones and cell phone towers and masts. Recent international scientific reviews have concluded that electromagnetic radiation safety limits are “thousands of times too lenient” and one official British report came to the conclusion that the development of cancer from cell phone use could not be ruled out. Sir William Stewart, chairman of the Health Protection Agency in the UK, is calling for a formal investigation into the hazards of using wireless networks in schools. He’s asking that students be monitored for health problems from the networks. Joining him in health concerns over Wi-Fi installations in schools, the Professional Association of Teachers are calling for the Secretary of State for Education in the UK to begin an official inquiry into the issue. Dr. Gerd Oberfield, head of environmental health and medicine in the province of Salzburg, Austria, calls the installation of Wi-Fi “dangerous.” In fact, the government in Salzburg has been advising schools not to install Wi-Fi for well over a year now and is considering a complete ban on Wi-Fi networks. Stowe School in Great Britian recently removed its Wi-Fi equipment from its building. One of its schoolmasters who had taught there for 28 years developed headaches and nausea immediately after Wi-Fi was installed. What About Wi-Max The latest development in the world of digital communication is something called Wi-Max. Wi-Max is intended for use as a network for large metropolitan areas. Where Wi-Fi is limited to a range of about 100-300 feet, Wi-Max can provide broadband wireless access up to 30 miles from fixed base stations and 3-10 miles from mobile base stations. It’s been described as Wi-Fi on steroids. It’s used in much the same way as Wi-Fi and will soon become the standard for Internet access. Imagine the implications. 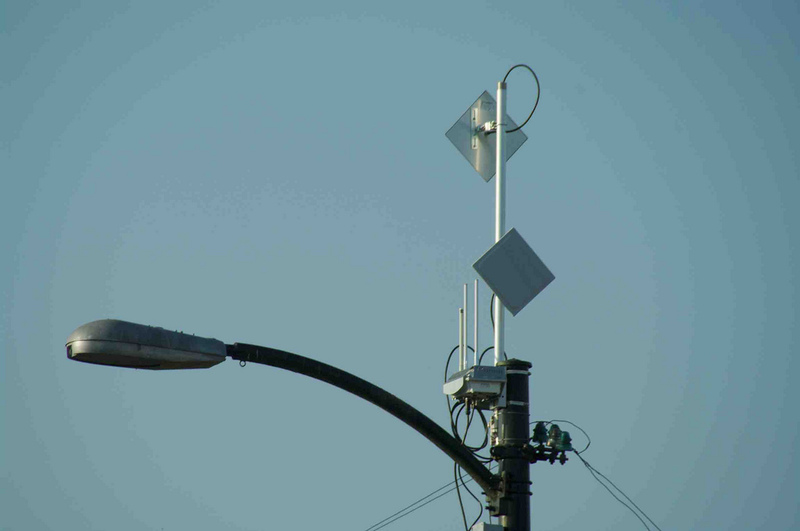 Whole metropolitan cities blanketed with Wi-Max wireless coverage. How convenient and “connected” do we really need to be? Conclusion We currently have no studies that are specific to Wi-Fi. However, when assessing the safety issue we can and should look at technologies that are similar and relevant to Wi-Fi to draw our conclusions. This would seem appropriate since Wi-Fi operates in the same manner as other more heavily studies similar technology and the basic mechanism of harm from all wireless technology is the same. There are countless reports and studies raising caution signals about the effects on human health from exposure to cell phone radiation, cell phone towers, Wi-Fi, and wireless technology in general. The fact remains that wireless technology is a potential carcinogen. So was tobacco. So was asbestos. So were X-Rays. Like these other hazards, which were all at one time only “potential carcinogens,” wireless technology needs further study before we decide to randomly subject ourselves and our children to the potential harmful effects it seems to cause. How long will we wait for these studies? Another 20 years or more? How many lives will be adversely affected or lost while we take the wait-and-see approach? What can you do? Don’t let your children use a cell phone. Don’t live near a cell phone tower. Don’t use wireless Internet connections or cordless phones in your home. Provide good nutrition to your children in the form of lots of fruits and vegetables. Everyone needs lots of antioxidants to protect themselves from the free radicals being produced by these high levels of radiation. Good quality water is a must, too. Get involved in your child’s school. Get on the school board. Ask questions regarding the use of Wi-Fi in the school. Object to the installation of such equipment if and when the possibility is discussed. School districts today are under ever-increasing financial pressures. Healthy lease money is being provided by the wireless industry to install cell phone antennas on school buildings. Once again, this is an unneeded and unnecessary exposure risk for our young people. Does the extra income provided by the wireless industry outweigh the potential risk to our children? The studies say no and we as parents and responsible citizens need to convey that message to our school boards and legislators. 1. Lai, Henry. Biological Effects of Radiofrequency electromagnetic fields. Encyclopedia of Biomaterials and Biomedical Engineering. G.L. Gowlin and G. Wnek: Taylor and Francis Books, 2005. 4. Abdel-Rassoul, El-Fateh, Salem, Micheal, Farahat, El-Batanouny, Salem. Neurobehavioral effects among inhabitants around mobile phone base stations, Neurotoxicology, 2006, Aug. 1. 5. BioInitiative Report, Aug. 31, 2007. 6. BioInitiative Report, Aug. 31, 2007. 7. Mariea, Tamara and Carlo, George. Wireless Radiation in the Etiology and Treatment of Autism: Clinical Observations and Mechanisms; Journal of the Australian College of Nutritional and Environmental Medicine, August 2007. Strain was one of six delegates who spoke against wireless Internet in schools at Thursday night’s public school board meeting. Exposure to wireless Internet can lead to nausea, dizziness and weakness, she said. “These symptoms all go away on the weekend when the kids are no longer in school,” she said. “I’m not against technology, but if one child has a nut allergy, peanuts are banned. Jackie Donaldson, a Peterborough parent of two children, said radiation can affect the body in harmful ways. Donaldson said damaged cells can lead to cancer. The longer people are exposed to electromagnetic fields, the more sensitive they become, said Magda Havas, an associate professor at Trent University who has been conducting electromagnetic research for 20 years. “Children are more sensitive to environmental contaminants and that includes microwave radiation,” she told the board. Havas said 3% of adults experience “electro-hyper-sensitivity,” which is described as having adverse effects to electromagnetic frequencies. Charlene Creelman, a Peterborough grandmother, said she is electro-hyper-sensitive. She experiences chronic fatigue, memory loss and headaches, she said. Creelman suggested labelling the areas in schools with clearly marked signs warning everyone that wireless Internet is used. “This board should be protecting students, teachers and staff,” she said. Board chairwoman Diane Lloyd said the board will look further into the issue and rely on information from Health Canada. “We are certainly interested in student safety at all times,” she said. Wireless Internet is already used throughout the public school board offices on Fisher Dr. and in some schools, she said. Trustee Gordon Gilchrist, who took a moment to discuss the issue further with Havas and Strain, said the board plans to investigate the research. In March, some Simcoe County parents brought similar concerns to their local school board, saying their children have experienced adverse health effects as a result of wireless Internet. PORTLAND, Ore. – A parent of a Portland Public Schools student is suing the district claiming Wi-Fi in the schools has alarming effects on children. David Morrison is suing Portland Public Schools in an effort to get the district to pull Wi-Fi out of the schools. David Morrison wants the district to pull Wi-Fi out of the schools immediately and filed a federal lawsuit Friday. He says not only are there harmful health effects but that it’s a constitutional issue as well. Last year Morrison took his daughter out of a private school because he said it put a cell tower on campus. Now his 13-year-old goes to Mount Tabor Middle School which is the very school where parents signed petitions just last year to keep a tower from going up next to the school’s playground. After researching the issue for a year, Morrison said he found concerning information about health effects from radiation, especially around kids. “The case is a constitutional issue – freedom of choice for safe environment for my daughter,” he said. Morrison said he feels he’s got a pretty good chance in court. He’s got several health experts prepared to testify. A similar case happened in Chicago in 2003. At the time the district there said they were complying with all government regulations for wireless networks. When asked what he’ll do if he doesn’t win his case, Morrison said he’ll likely pull his daughter out of Portland Public Schools. KATU News contacted the district but hadn’t heard from it by airtime Wednesday night. The benefits of wireless internet outweigh any potential health risks to students, say some Calgary parents. Edmonton’s public school board is taking a second look at the safety of Wi-Fi after a report by the World Health Organization that reclassified electromagnetic fields from wireless internet and cell phones as possible causes of cancer. In Calgary, the Catholic school board is undertaking a five year plan to make all its schools wireless. Spokeswoman Janet Corsten said all schools fall well below Health Canada’s limit for low-level radio frequency energy. “Really we’re hearing more that parents want that capability for their children within the schools,” she said. Trina Hurdman, a spokeswoman for a Calgary parent lobby group who unsuccessfully ran for trustee spot in the last election, said she heard concerns about Wi-Fi when she campaigned door-to-door. Hurdman says while the concerns shouldn’t be ignored, in this case the benefits outweigh the potential risks. “It’s a matter of prioritizing your risks and I think there are a lot more benefits to having Wi-Fi in schools than there are risks associated with it,” she said. A judge recently dismissed a request from parents to remove Wi-Fi from Edmonton schools. Last year, professor Magda Havas of Trent University in Peterborough, Ont., who does research on the health effects of electromagnetic radiation, issued an open letter to Ontario parents and boards saying she is “increasingly concerned” about Wi-Fi and cellphone use at schools. But Health Canada states on its website that parents shouldn’t be worried about Wi-Fi in schools, which falls under the organization’s safety guidelines. To Parents: PLEASE… DO NOT EVER LET YOUR KIDS/TODDLERS PLAY GAMES ON AN IPAD WHICH HAS THE WI-FI BUTTON TURNED ON (even if it’s not connected to a Wi-Fi network, even if there is NO Wi-Fi network available, as seen in the video). Wi-Fi enabled devices including iPad2 are designed to send radiating signals to “seek” networks. You can see from the RF meter that there is a “burst” of radiating signal every few seconds, up to 30+microwatts/cm2, continually, until the Wi-Fi button was turned off. If you absolutely need to let your kid play games or type on the iPad, TURN THE WI-FI button OFF! And TURN the AIRPLANE mode ON, so that it does not emit any wireless microwave signal. The above is a demonstration of an iPad that was not connected to the internet via Wi-Fi. If connected, the radiation level will be even higher, as the microwave signals peak everytime a webpage is refreshed or a new website is accessed. If you child needs to access the internet, please use a computer with wired connection. Also, do not carry an iPad – with Wi-Fi button on – close to your body, unless you want to have radiation beamed at you in close distance every few seconds. The iPad 2 was put on Airplane mode to show that the signal was solely from Wi-Fi, not cellphone network. Parents raise concerns that WIFI networks could pose a health risk to students and staff because of “unsafe” radiation emissions. PRLog – Feb. 16, 2015 – POTOMAC, Md. — Local parents, teachers and citizens have formed Safe Tech for Schools Maryland (STSM) to push for “Safe Technology” in schools. They are raising awareness on the serious health risk that wireless radiation (also known as radio frequency radiation RF-EMF) poses to students and staff. The group advocates for an ethernet based (non-wireless) network that would have zero radiation emissions. “Children should not be experimented on in school, period. There are safer , faster, and greener ways to access the internet. Our conscience and moral compass should be our guide,” stated a parent. The coalition was founded after a Montgomery County Maryland parent requested a report on the radio frequency radiation levels at her child’s school, Bells Mills Elementary. The radiation levels at the school were high enough to be considered “unsafe” by the Los Angeles School District as well as health advocacy groups who have long argued that FCC guidelines do not protect children. Safe Tech for Schools Maryland quotes the American Academy of Pediatrics 2013 letter to the FCC calling for stronger radiation guidelines stating that children are “more vulnerable” to wireless radiation and need to be better protected. STSM cites “credible” research showing increased cancer risk, neurological damage and reproductive system damage from low level wireless exposures. Harvard pediatric neurologist and autism expert Dr. Martha Herbert stated, “EMF/RFR from wifi and cell towers can exert a disorganizing effect on the ability to learn and remember, and can also be destabilizing to immune and metabolic function. This will make it harder for some children to learn, particularly those who are already having problems in the first place.” Dr. Erica Mallery-Blythe has recommended “ASAP withdraw all RF Emissions” in her November 2014 scientofic presentation on children and RF. The new group is calling on local school districts and the Maryland Department of Education to turn off the wireless routers and install safe wired routers and ethernet connected computer systems in schools.They note that parents are often surprised to learn that industrial strength routers used in schools are far more powerful than home routers because they are accommodating up to 30 devices in a room. The level of radiation is further elevated from each device emitting radiation in use in the room. Maryland school districts have previously responded to parents concerns by stating that radiation levels are “within FCC limits”. However, this group counters that FCC radiation regulations are 18 years old, under current reassessment and “do not protect children”. The Los Angeles Unified School District (LAUSD) a district with over 500,000 students has set safety thresholds at radiation levels 10,000 times lower than FCC standards because of research showing cellular damage at levels lower than the FCC regulations. The radiation levels measured by MCPS at Bells Mill Elementary school were much higher than limits LAUSD set. Parents who have been addressing this issue in their local schools for the last few years have now connected across the state of Maryland and are taking various actions. For example, parents recently requested Wifi radiation readings in neighboring Prince George’s County but was denied by CEO Dr. Maxwell due to “fiscal constraints”. Parents testified to the Montgomery County Board of Education on their concerns about wireless networks in schools on October 14, 2014 and February 10, 2015. They also sent MCPS Department of Health Education Supervisor Cara Grant information on safe tech for MCPS curriculum development. Parents have testified several times on the issue to Prince Georges County Public Schools and have provided safety information for PGCPS 2014 Bring Your Own Device Policy. The coalition plans on coordinating local and state efforts to raise awareness to expedite the installation of hard wired (non wireless) technology in schools. Southborough, MA, September 22, 2014. Michael D’Aleo addresses community on issue of WiFi in school and urges caution. Michael D’Aleo is an engineer, author, and physics teacher. He lectures nationally and internationally on topics of science, education and environmental issues. Mr. D’Aleo is the co-author of Sensible Physics Teaching and the forthcoming title Embracing Materialism and Letting it Go. He holds a degree in mechanical engineering from Rutgers University and has worked in the electronics industry for several years. Mr. D’Aleo is listed as inventor on 17 US and several International patents. • Banning WiFi in any childcare facilities catering to children under the age of 3. • Requiring cell phone manufacturers to recommend the use of hands-free kits to everyone. • Banning any advertising that specifically targets youth under the age of 14. The law, passed by a majority vote and adopted into place on January 29, 2015, is the first in France to suggest and establish that WiFi over-exposure may indeed be hazardous to young children — a controversial topic, not just in France, but around the world. The law, entitled, “An Act on Sobriety, Transparency, Information and Consultation for Exposure to Electromagnetic Waves,” while comprised of many sections, most importantly, is setting a good example about how it may be best to take a precautionary approach when addressing the potential health risks of WiFi exposure. Various research, from informal to formal, shows that chronic exposure to WiFi, may be harmful to youth. Some current literature on the subject has shown that exposure to high-powered WiFi environments may include attention problems, cardiac irregularities, seizures, fatigue, and other health problems. Another scientific report published recently shows that kids’ brains may absorb twice as much cellphone radiation as adults’ brains. Last, but certainly not least, screen addiction has become a very real health and well-being issue. Unfortunately, and contrary to the initial proponents of the new law, WiFi will still be permitted in primary schools. That said, we’re still very happy to hear that France is taking small steps to alleviate some of the problems caused by screens and WiFi, and hope to see similar actions in the United States and other places around the world. Major Wifi Controvery as School District is Served With Legal Liability Notice … Board members who voted in for keeping the Wi-Fi are now personally liable if a child is harmed by the wireless radiation exposures. They could be sued for “willful blindness”,”child negligence” or possibly even charged with “reckless endangerment of a child” of which the latter carries criminal penalties.